Big data has not only changed the world of advertising, but the use and proper implementation of big data strategies has affected many industries and organisations. However, there is still room for adoption across the board. 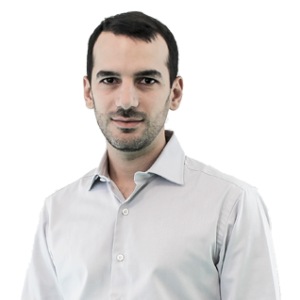 Writing exclusively for ExchangeWire, Tasso Argyros (pictured below), CEO and co-founder, ActionIQ, talks about the evolution of big data, the importance of integrating data strategies, and room for growth that big data still has in the market. 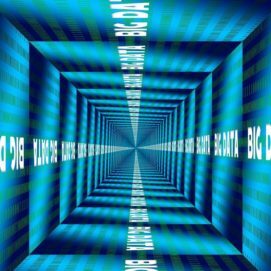 Since then, ‘big data’ has been one of the buzziest buzzwords for the past several years. Any company worth their salt is already using big data in some form or another, whether to analyse user behaviour, or pick out patterns in the market to inform future strategy. But, as with anything, some industries have adopted big data more enthusiastically than others. So, which companies are using big data to win, and which ones are falling behind? And, for those who have been slow to adopt big data strategies, what can they do to catch up? It should come as no surprise to hear that financial institutions are some of the most enthusiastic adopters of big data; after all, they more than anyone have the potential to profit off of the analytical and predictive abilities that big data promises. Banks and other organisations have the benefit of having a business model that requires extensive documentation and data-gathering, as well as being in an industry that has long embraced predictive models. This places them in a unique position, allowing them to integrate big data platforms and other data-gathering resources into their existing structure with minimal fuss. As a result, big data has allowed these organisations to see patterns that they would otherwise never have been able to see, spot opportunities, and make money for themselves, and for clients. Retailers like Walmart have also relied on big data to provide insights into their businesses. For example, when attempting to forecast the demand for supplies before Hurricane Sandy hit in 2012, Walmart CIO Linda Dillman uncovered some surprising information: besides the expected rise in demand for flashlights and other emergency equipment, people were also stocking up on – wait for it – strawberry Pop-Tarts. Armed with this information, Walmart made sure to stock those stores in Sandy’s path with extra Pop-Tarts, to the undoubted relief of East Coast denizens. For grocery stores, leveraging big data to track consumer shopping patterns is incredibly important, given the perishable nature of some goods and the need to continue to attract customers in the face of intense competition. In addition to giving retailers more insight into how people shop, big data has also revolutionised the customer experience. Delta recently announced that it would be using big data “to support the customer service role of frontline employees and further differentiate the Delta experience”. In practice, this means giving its flight attendants a list of customers to prioritise on domestic flights, based on frequent flier status, any recent flight interruptions, and other information. This shows how big data can be used not only to fulfill high-level objectives, but also to improve interactions at every point of the consumer journey. The above is all great – yet the denouement of the big data story is far from complete. Even though investments have been made with some good results, a lot of that activity happened in silos, and without a broader plan to deploy and leverage big data across the organisation. Business teams, such as marketing, were especially affected since they don’t have the armies of IT staff and engineers needed to benefit from all of this investment, despite early promise. So, the biggest issue today that many companies face is the fact that much of their data is siloed, making it difficult to analyse and draw conclusions from. Connecting data from many silos can take months or years, and is an expensive endeavor – thus not an option for most business teams. It’s one thing to be collecting data from multiple sources, and quite another to actually bring it together so that it can be mined for insights. Given that enterprises tend to use hundreds of different apps, most of which collect and store vital information, having a tool that can successfully aggregate this data is vital. Big data can make a lot of things easier – if it’s aggregated, structured correctly, and is accurate. But with big data comes big responsibility. Companies can’t (and shouldn’t) apply big data strategies to every single one of their initiatives. Instead, they need to think about where it would be the best use of their resources to do so, and to make sure that any customer-facing strategies that rely on big data are tailored, wanted, and on-message. As hinted at above, one area where there is still huge need for big data, and new strategies to leverage it, is in marketing – which is vital to every business operating in the digital age. We’ve seen plenty of data innovations for sales teams and consumers – but not yet for this critical discipline. It’s a massive undertaking, and one that is very much needed.